Every year group in The Radclyffe School has a cluster of Gifted and Talented students that excel in many subjects. Gifted and Talented students are identified within individual subjects and are monitored by various staff and the Lead Gifted and Talented Teacher Miss Arnold. Every student’s progress is discussed on a fortnightly basis within KS3 and KS4 Achievement Groups where interventions are applied for specific students to further support and assist their progress in different subject areas. Every half term a Gifted and Talented Working Group, attended by a representative from each department meet to focus on the needs of each Gifted and Talented student and the progress they are making with their academic studies. Gifted and Talented students are also provided with advanced courses and early examinations when appropriate. At The Radclyffe School our curriculum and the dedication from our staff allows students to work through courses at a more advanced level. The school offers a number of GCSE and Advanced level courses in Mathematics, Astronomy and Triple Science. Students are entered into early English and Mathematics exams in Year 10 and have the chance in Year 11 to improve on their initial grade. In The Radclyffe School every member of staff has high expectations for every student. We expect students to attend every day and be punctual to every lesson. This along with a good attitude to learning will produce good achievements for our students. We continually educate students to reach for the highest goals and to plan accordingly for their long term goals. We truly believe that if students have high aspirations in life then they will be on the right path to gain high achievements. 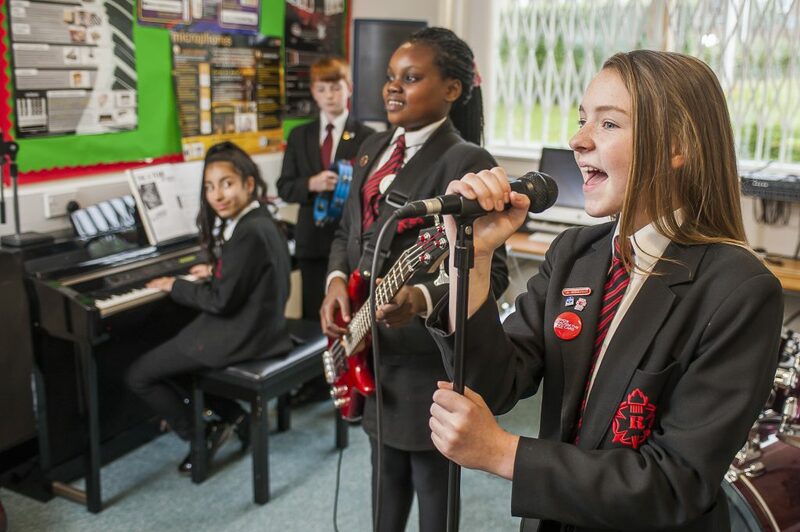 The school offers a wide variety of activities across all subjects to develop the breadth of experience for our Gifted and Talented students. They get the opportunity to be involved in Gifted Student Academy sessions, Exams ‘Success and Cool to Succeed’ workshops every term. They also have regular opportunities to attend Oldham 6th Form and Manchester University to get a feel for further education and to be involved in A Level and degree based projects. All students have numerous opportunities to be involved with motivational speakers who specialise in raising aspirations and self-confidence with Gifted and Talented students. In order to stretch our talented students in various Performing Arts within The Radclyffe School, a number of productions are run throughout the year to showcase and develop The Radclyffe Talent. Various productions such as Christmas shows, musicals, art exhibitions, dance shows and drama productions are held throughout the school year and are extremely well attended by parents, local primary schools and the community. In the summer term all of the Performing Arts are represented in the school production. This is traditionally a hugely successful production that runs for three nights at the school and involves 75+ students. Talented athletes are encouraged to be leaders in the classroom to nurture their confidence, develop their self-esteem and develop other potential talent within the school. They are involved in regular planning and leading of sporting festivals for Year 4 students from local primary schools.